The European Union (Protection of Trade Secrets) Regulations 2018 (“the Regulation”) came into effect in June 2018. It implements the Trade Secrets Directive 2016/943 (“the Directive”) in Ireland. The Regulation contains strong protections for intellectual property holders by way of civil redress and criminal sanctions where a trade secret is unlawfully disclosed. As a result, section 7 of the Regulation has amended the Protected Disclosures Act 2014 so that in instances where it is alleged that a disclosure of relevant information relates to a trade secret, it will only constitute a protected disclosure where the worker can demonstrate that the purpose of the disclosure was the protection of the general public interest. This is a high standard that is likely to be unattainable by most workers. This is because employees, in arriving at their decision to make a disclosure, can often be motivated by other causes or reasons which are ancillary to the public interest. These can include situations where they have issues with their employers or co-workers. Prior to the Regulation, the motivation of a whistleblower in making a protected disclosure was irrelevant in deciding whether or not it was a protected disclosure. However, the Regulation now provides for the examination of the motivation of a whistleblower where the disclosure or use of a trade secret is involved. According to the Regulations, a whistleblower who makes a protected disclosure of a trade secret who cannot prove that they were motivated by the public interest can be liable to a criminal offence punishable by up to three years in prison and a fine of up to €50,000. Arguably the key to the effectiveness of the Protected Disclosures Act 2014 since its enactment was that the motivation of the whistleblower is irrelevant. This change in the law is significant because it is likely to act as a deterrent to whistleblowers coming forward. Employers should be aware of this change to the law and should, when receiving a protected disclosure, consider if the protected disclosure contains information which might qualify as a trade secret. If the protected disclosure does contain information that could be classified as a trade secret, then the whistleblower will have to prove that they were motivated by the public interest in order to gain the protections of the Protected Disclosures Act 2014. In addition, an employer now has a range of options available to it if a trade secret is used contrary to the Regulations, such as civil claims for damages and potentially, injunctive relief. In addition to the protections contained in the Regulations, employers should consider taking steps to protect their trade secrets generally such as, the putting in place of comprehensive non-disclosure and confidentiality agreements. The content of this article is provided for information purposes only and does not constitute legal or other advice. Sarah is an associate on the Employment & Benefits Team at Mason Hayes & Curran and advises domestic and international clients on all aspects of employment law including contentious and non-contentious matters. In non-contentious matters, Sarah advises clients in relation to day-to-day issues arising from the employment relationship including workplace investigations, grievances, performance, capability and disciplinary issues and terminations. Sarah regularly advises clients in relation to employment contracts, employment policies and staff handbooks. 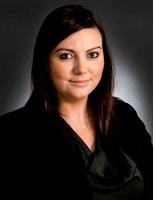 Sarah is an experienced litigator and has represented clients in the defence of employment claims in both the Workplace Relations Commission (and other employment law fora) and the civil courts. Talking Doesn’t Help! What Now? Ireland's leading source of HR-related news helping HR professionals do their job better. Our mission is simple – provide the best HR information from Ireland and around the world. HR Headquarters © Copyright 2015-2019, All Rights Reserved.